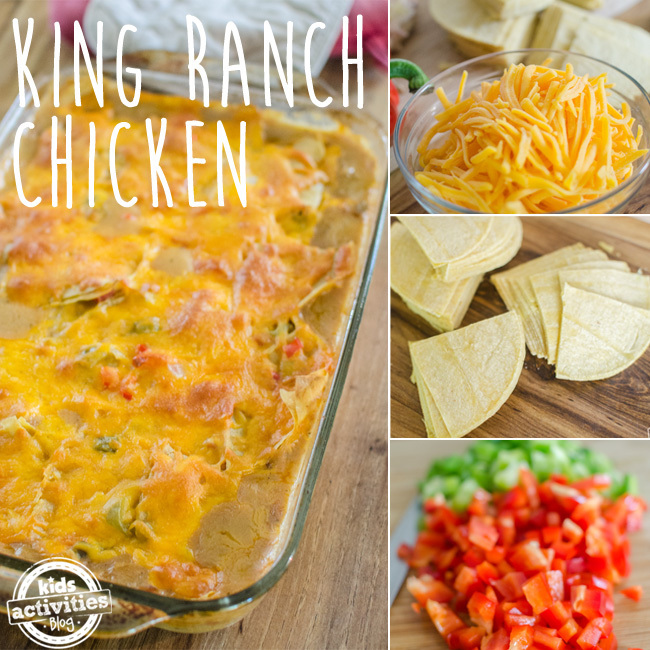 Our family is a big fan of King Ranch Chicken Casserole (or what we just call “King Ranch Chicken” here in Texas). If you’re one of the poor unfortunate souls who have never tasted this unique chicken dish before, then sit down and keep on reading. Trust me, this one is sit-down-worthy. 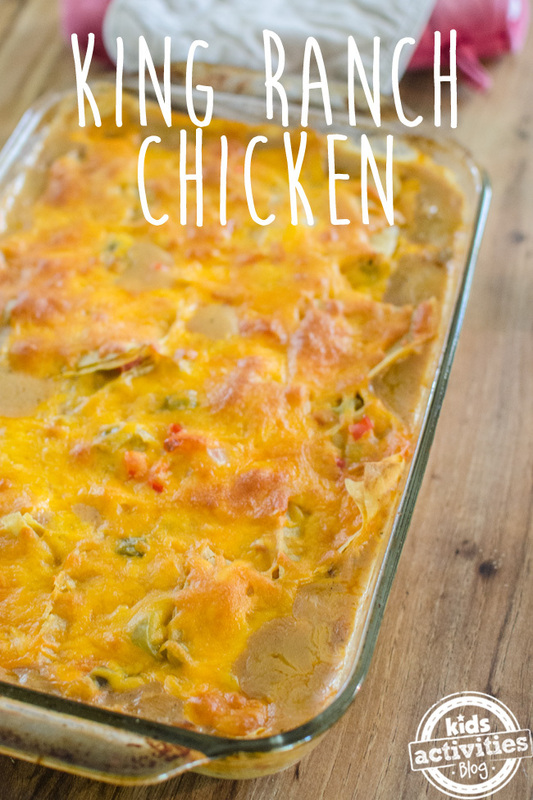 Here’s a Chicken Noodle Casserole that’s also super easy to make and uses Ritz crackers. 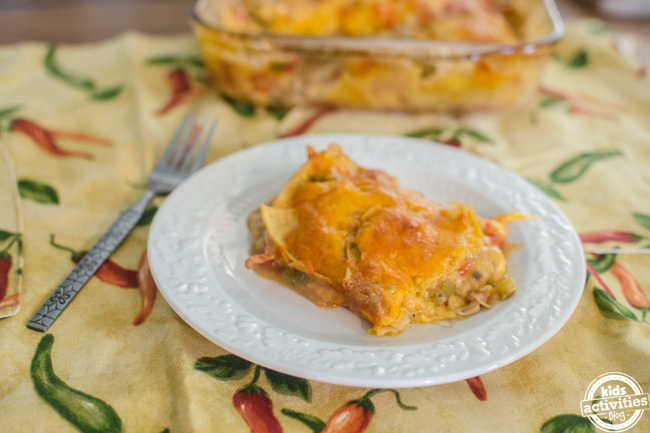 King Ranch Chicken is one of those recipes that is so simple to make–a little of this, a little of that–yet so delightfully different and tasty. 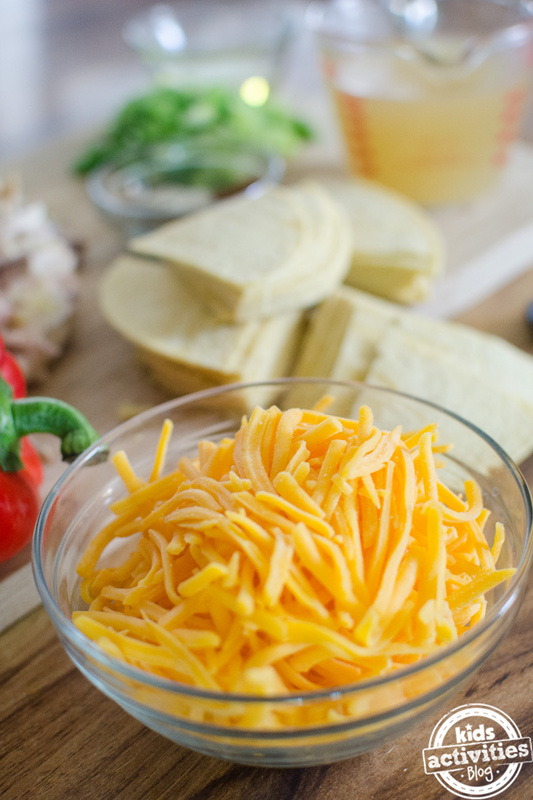 Serve it at your next potluck or take it to a new mom in need. Both kids and grownups like it. In a medium saucepan, heat olive oil. 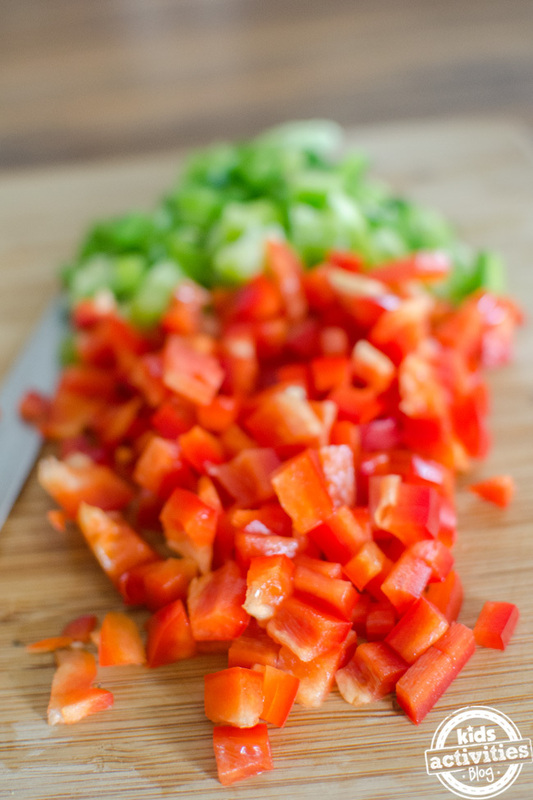 Saute onions and peppers, just until soft (about 5 minutes). 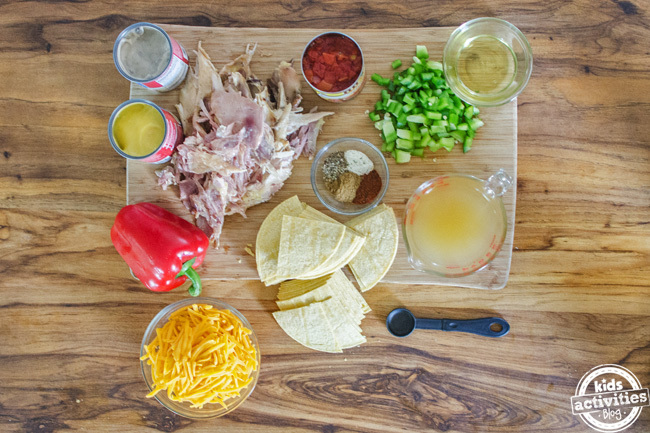 Add broth, soups, Rotel, and spices. Stir well. 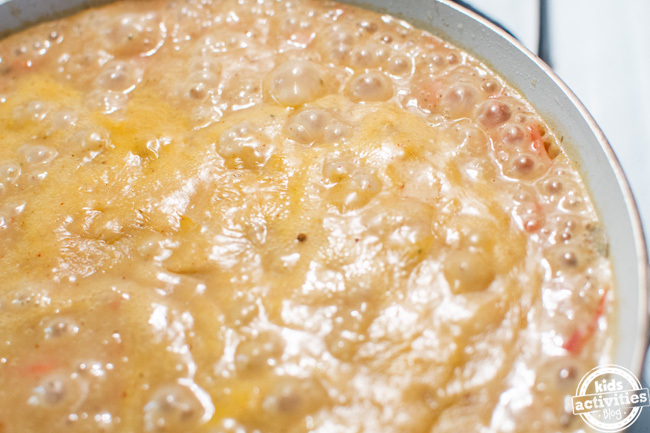 Continue to stir and boil until thickened and bubbly. Spray a 9×13 casserole dish with cooking spray. Place 1/3 of the tortilla quarters down in a layer. Add 1/3 of the shredded chicken breasts. 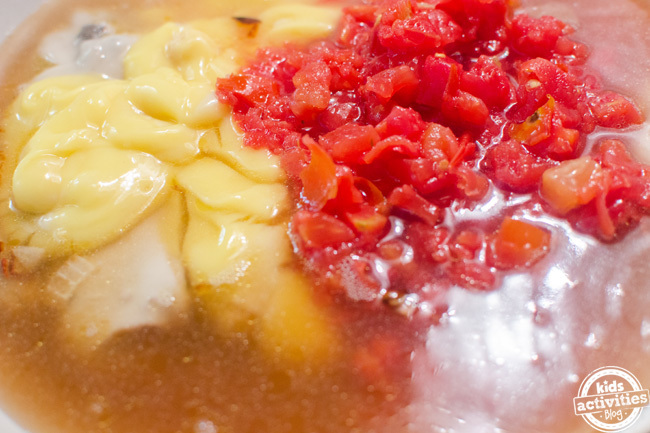 Top with 1/3 of the sauce mixture. Sprinkle with 1 cup of the cheese. Repeat 2 more times. 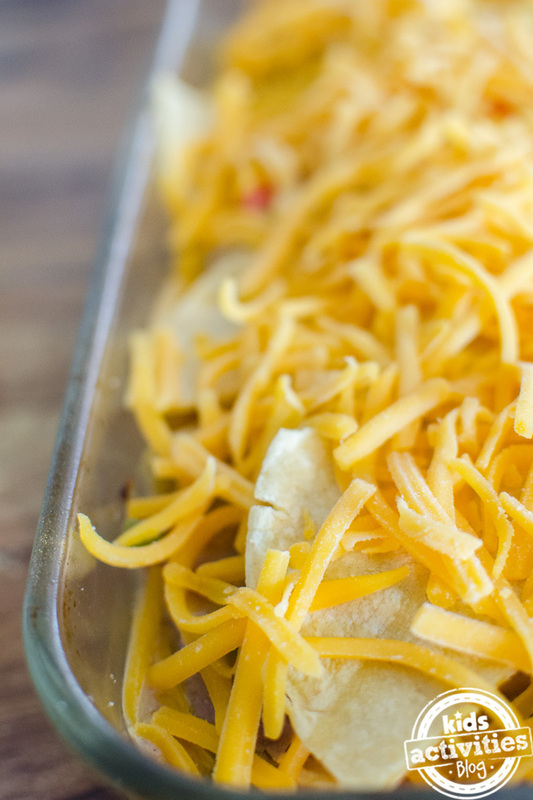 Top with 1 cup shredded cheese, cover with foil, and bake at 375 F for 40 minutes. Remove foil and bake another 5-10 minutes. 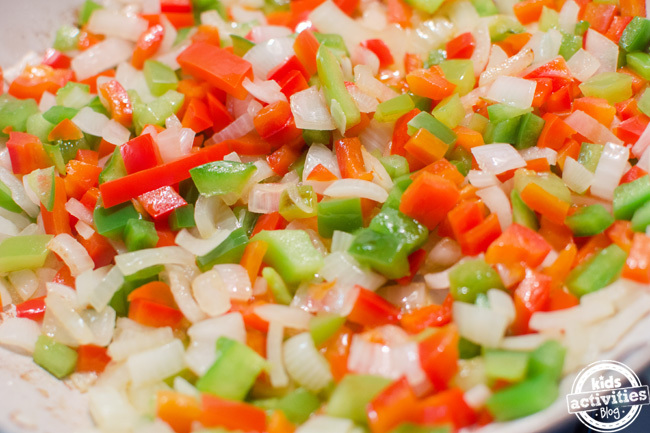 Allow to rest for 10-15 minutes before serving. Serve with a salad. Previous Post: « Big Man Can Not Be Stopped On Gigantic Slip-N-Slide!